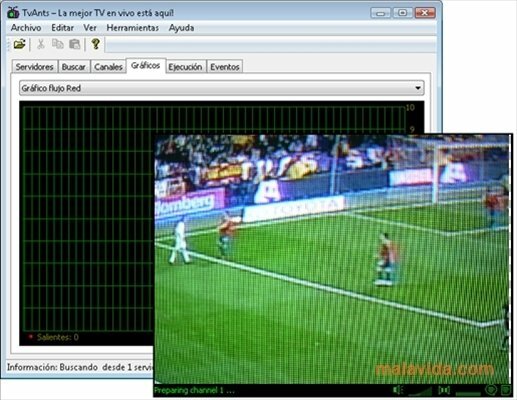 Programs to watch television on computers didn't become popular up until the moment at which Internet connections were capable of transmitting video, but once this happened, programs like TvAnts became essential for many users. 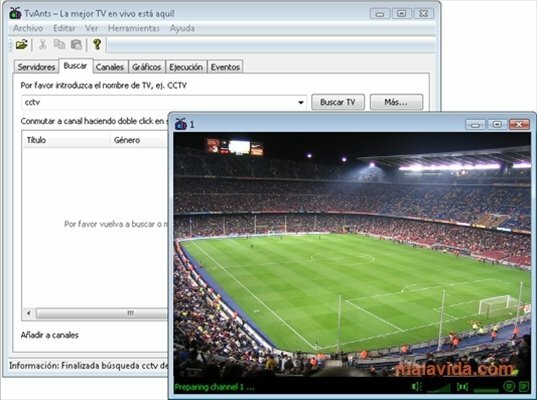 TvAnts is that kind of software that you always search for when football is broadcast pay-per-view or on a pay channel and you don't want to go to the pub, a program in which you will be able to watch that rugby match that you can view in your country or that golf tournament that is only mentioned in the news if one of your fellow countrymen wins. TvAnts is all that and a lot more. By means of merging P2P technology and video broadcasting by means of streaming technology, TvAnts has managed to position itself as one of the best programs to view broadcasts on the Internet. 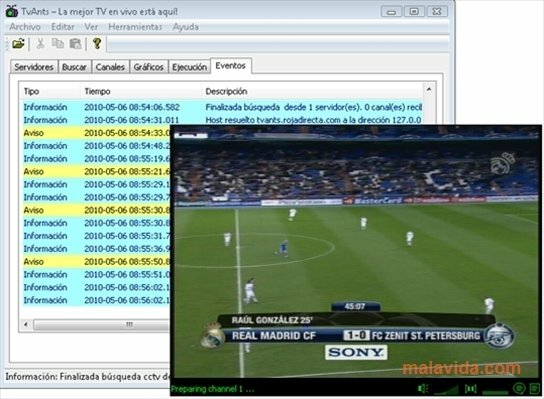 In general the programs are broadcast by the users or companies that provide a link by means of which we can automatically launch the application or that we can paste in the program's address bar to load the video. The program also offers us the possibility to add servers and search for the contents of our choice, like any other P2P software. Thanks to TvAnts it's possible to watch TV channels from other countries, with their usual series and programs, even though the majority of them are from the Far East, except the sports broadcasts.